VisitScotland / Paul Tomkins, all rights reserved. 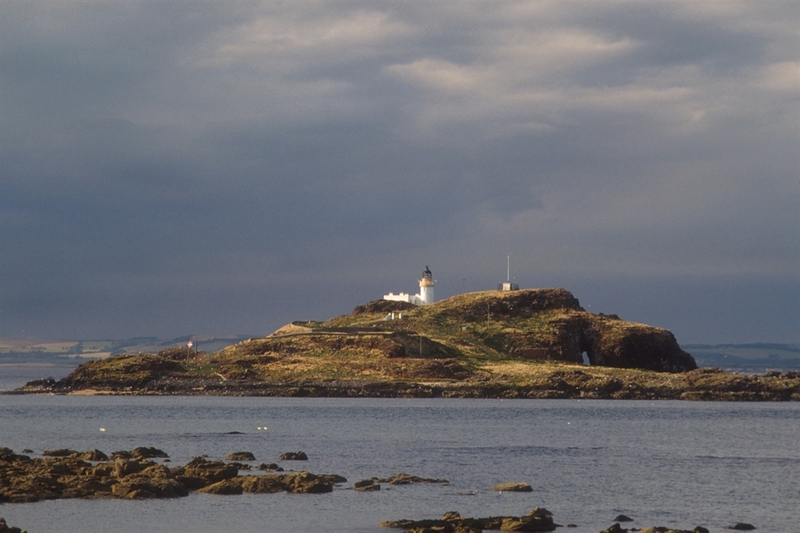 Yellowcraig is a natural cove beach with views to the 1885 lighthouse on Fidra Island, the inspiration for Robert Louis Stevenson famous tale Treasure Island. 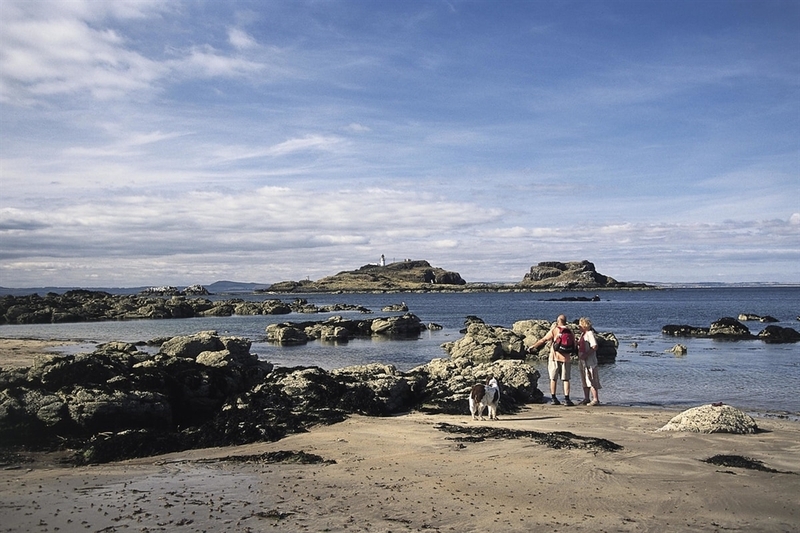 Yellowcraig is a natural cove beach with spectacular views to the 1885 lighthouse on Fidra Island, the inspiration for Robert Louis Stevenson famous tale Treasure Island. It is a popular family beach, which offers a nature trail, barbecue site (which must be pre-booked with the council) and a network of footpaths through the sheltered woodlands and extensive grassland. There is a dog walk away from the beach where dog bins are provided and the beach is good for horse riding too. There are good pubs and restaurants in Dirleton. And the village also boasts a castle, managed by Historic Scotland, with superb gardens, in fact the castle gardens hold the World Record for the longest herbaceous flower bed! The nearest village is Dirleton and the nearest town is North Berwick. The beach is within walking distance from Dirleton. The beach is sign posted from Main Street. 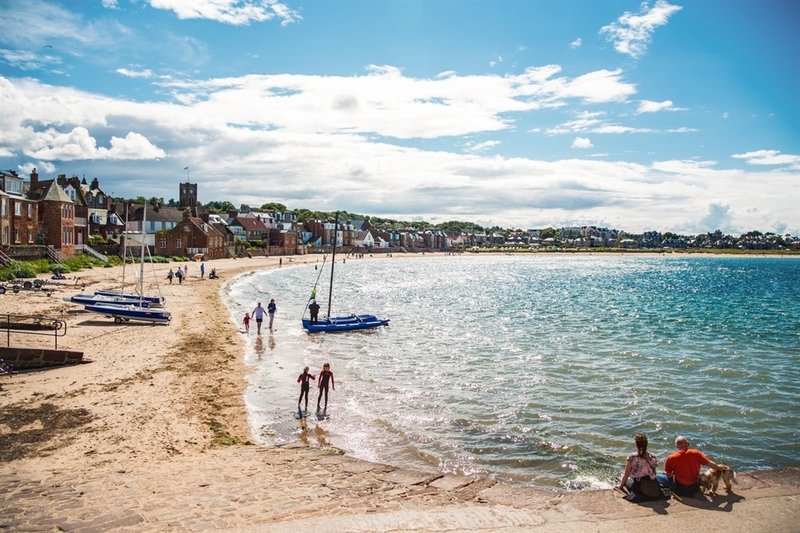 The beach is within walking distance from Dirleton and there is a regular bus service from North Berwick. VisitScotland / Paul Tomkins, all rights reserved. View from Yellowcraigs beach towards Fidra, a small island in the Firth of Forth featuring a yellow and white lighthouse. VisitScotland / Paul Tomkins, all rights reserved. View from Yellowcraigs beach towards Fidra, a small island in the Firth of Forth featuring a yellow and white lighthouse. VisitScotland / Grant Paterson, all rights reserved. North Berwick bay on a sunny day, with sparkling water lapping at the sandy beach, and several groups of people enjoying the view of the picturesque t Richard Campbell, all rights reserved. A couple stand at the edge of the water on Yellowcraigs beach with their pet spaniel, looking out to sea.